Reading through the list of singers lined up for the Semi Final of this prestigious competition it seemed to me that eight of the eleven entrants had the potential to make it through to the final and indeed to win, so that 2008 would prove to be a vintage year. Well, singing competitions are seldom predictable events, and Chairman Nicholas Payne remarked in his summing up that two singers who had greatly impressed the jury in the semi-final round were less good in the final, whilst another two who had been borderline for the final emerged as stars. Since the prizes are awarded for overall merit, this made the jury’s task a particularly hard one, and to some extent their choice reflected promise as well as achievement. First prize was awarded to tenor Ben Johnson, described by Nicholas Payne as “the alchemist”. I have an enormous respect for the musicality of this singer, and he presented each piece with studied excellence. Nothing in his programme could have been described as showy, but he demonstrated a real depth of feeling and sensitive response to the composers' intentions throughout. Second prize went to baritone Alexander Robin Baker who perhaps came closest to producing the “wow” factor that spellbinds an audience. He was the youngest finalist in last year’s competition and now, at 22, is still incredibly young to have reached a prize winning standard. There is a quality to his voice which I particularly like, and he has a confident and engaging manner. Clearly, what we were hearing was “work in progress”, and still more can be expected with greater maturity. For the song prize the jury chose Ida Falk Winland for Nystroem’s Det Enda and Strauss’ Fruhlingsfeier. Listening to remarks made by various members of the audience during the interval, hers is a voice that struck many people as cold, and she needs to work on building empathy. There were three other finalists. First on stage was the Australian baritone Derek Welton. I had heard that he was not fully fit, but he sang with his usual force and accuracy, and it was rather more the construction of his two programmes that let him down. Despite this, his two Vaughan Williams songs were outstanding, and I look forward to hearing him present more of these at some future time. Soprano Elizabeth Donovan would probably have won the audience prize, if one had been available – her voice has considerable beauty of tone and her Csardas was skilfully characterised. Her pianist Caroline Jaya-Ratnam deserves mention for exceptional playing. 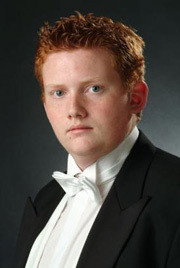 Finally, we heard another tenor Adrian Ward who is already well known to London audiences. Another highly musical performer, with a repertoire that is expanding rapidly. The other soprano Stephanie Corley also caught my attention. Without indulging in anything excessive, she was the one singer whose gestures and expression consistently mirrored the words she was singing. A versatile performer, she looks set for a good stage career. The Accompanist’s Prize was justifiably awarded to James Southall. He has a rare talent for supporting soloists (whether they be singer or instrumentalist), and clearly takes great joy in the process. Francois Salignat is another pianist of serious achievement, though I suspect his talents may destine him for a coaching role.